Superior foliar and soil applied HUMIC and FULVIC acid based products! Because of our extensive experience with the soils and crops in the central valley, we have been very successful at developing programs to meet the needs of each individual grower. A lot of money is spent adding vital nutrients to the soils and plants year after year. We focus on making changes that will stabilize those nutrients and make them more consistently available to the plants that they are meant for. At Natural AG Solutions, we not only manufacture Humic Acid and Fulvic Acid materials but also provide targeted solutions for your fields and crops. 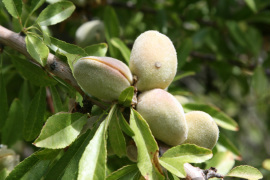 We are able to achieve consistent results by working with the natural processes that occur in the plants and soils. Our focus is to increase overall soil conditions and plant health. We offer a full range of products that are designed to give you a proper balance of long-term benefits and to provide you with immediate results. 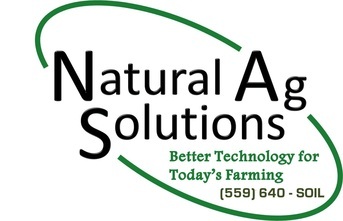 At Natural Ag Solutions, we are committed to supplying results that increase yields, improve product quality, and maximize profits for our clients. Our trained professionals will work to improve your plants and soil conditions and are dedicated to helping you succeed. Contact us today for a free analysis, or for immediate assistance call us at 559-640-SOIL.